17th December 2014 | filed under Obagi. 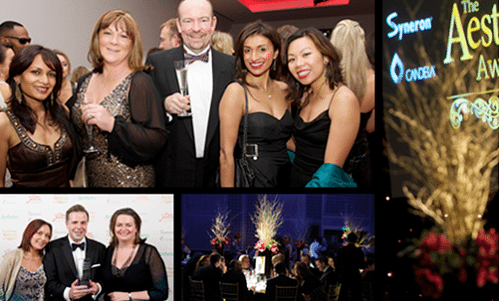 The prestigious Aesthetics Awards 2014 took place this year on Saturday 6th December, at the beautifully sophisticated Park Plaza Westminster Bridge Hotel, Central London. The Aesthetics Awards brings together the very best in medical aesthetics and leaders of the industry, celebrating the achievements of the past year! Awards are presented to those who have represented the highest of standards in clinical excellence, practice achievement, product innovation and of course, truly excelled in their field of aesthetic medicine; from individual practitioners and clinics to suppliers and manufacturers. 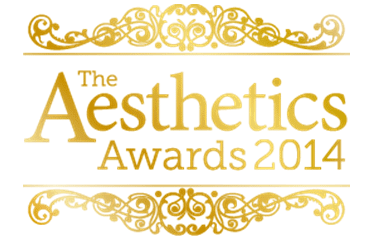 The Aesthetics Awards provides an evening of glamour and quality entertainment; with 145 entrants making it to the final, and the successful 21 winners being presented with their award in front of an audience of 500 members of the medical aesthetics profession. The highly anticipated awards presentation ceremony was not the only highlight of the stylish evening however, with features including a networking drinks reception, a fantastic three-course banquet and entertainment from award-winning comedian Dominic Holland and magicians. The first award of the evening, The ‘Cosmeceutical Range/Product of the Year’ was awarded to the manufacturer or UK distributor of the best cosmeceutical product or product range, retailed in the UK medical aesthetics clinics. The finalists were selected by judges on their ability to demonstrate a product that is safe, easy-to-use, effective and well-accepted by its patients. The winner was selected by Aesthetics journal readers through a voting process. In running for the award were Epionce from Episciences Europe LLP, and NeoStrata Skin Active Cosmeceutical Range, who walked away with ‘Highly Commended’ of the category. 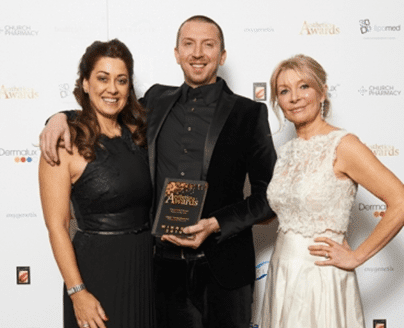 However, Obagi Medical Products from Healthxchange Pharmacy received the highest number of votes from Aesthetic journal readers, and was presented with the award by chair of the British Association of Cosmetic Nurses, Sharon Bennet. Voters praised the ‘brilliant results’ they had seen with the range, and said that they enjoyed the ‘Great clinical evidence’ that supported its success. 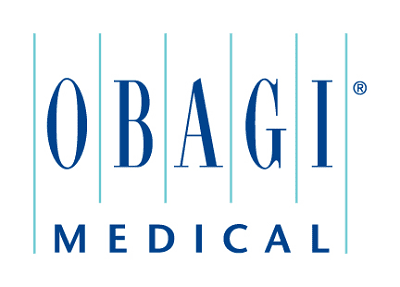 Obagi systems stands out from the competition, being tailored to the physician to meet individual patient needs. As a flexible system, Obagi has proven successful to treating skin conditions such as mild to severe hyperpigmentation, fine lines and wrinkles, adult acne and can be used pre- and post-procedure with other treatments. As a proud stockist of Obagi’s quality, proven and highly-recommended product range, we would just like to congratulate Obagi on their award-winning success from all of us here at Aesthetic Skin Clinic! For further information regarding our Obagi Skin Care UK range, or to speak to one of our friendly and qualified team – please don’t hesitate to contact us on 01481 736 699 today!